Just thinking about the Creative Opportunity Workshop and what each bandmate “brings to the table” sparks Earl MacDonald’s imagination. Thus far, this ensemble’s music has not only crossed genres, it captures and expresses a wide range of human sentiments and qualities, encompassing irreverence, elegance, humor and contemplation (to name just a few). Together, they have created a distinguishable, truly unique sound. Rather than simply posting their professional bios below, insights are shared into Earl’s relationship with each of the musicians in C.O.W.. Any overlooked facts can be found on their individual web sites. 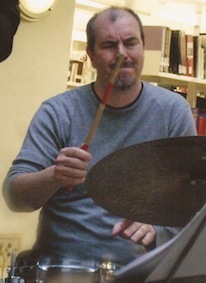 By choice, Kris has been a central member of almost all of Earl’s Connecticut-based ensembles: C.O.W., the Earl MacDonald 6, the New Directions Ensemble and Jazz Lauds. Earl considers him a close friend in addition to being one of his main musical collaborators. Kris and Earl share a common Christian faith which facilitates their discussing deep, substantive matters in conversation. Kris is a rare individual who challenges Earl musically, intellectually and spiritually. 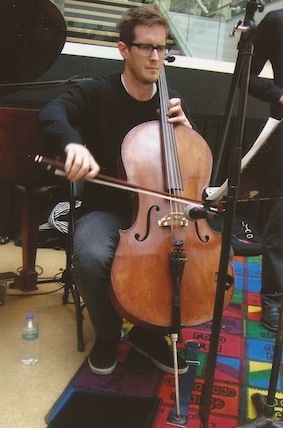 He recently accepted a full-time teaching position at Williams College in Williamstown, Massachusetts. It is a position he truly deserves after having paid his dues juggling a hectic, piecemeal, adjunct teaching career at a half-dozen schools. His fantastic debut CD as a leader, “Circle House“, was just released on Truth Revolution Records. Take a look at Kris’ impressive, new web page: allenjazz.com. Although the Creative Opportunity Workshop performs Earl’s music, he often states that members of his band are the ones who give his compositions vitality. He finds fulfillment and great joy in collaborating with these fine musicians.